It has not been enforced during the phasing-in period since 2015, and ports and harbours are not ready to handle over-quota and undersized fish that must now be landed instead of being discarded. And the only tools it has in place to monitor compliance are likely to be largely ineffectual. These are the key findings in a damning new report on the discards ban/landing obligation (LO) by an influential Westminster committee. The House of Lords EU Energy and Environment Sub-Committee examined the discards ban in November and December, and took written and oral evidence from a wide range of sources including fisheries minister George Eustice, DEFRA and MMO officials, fishermen and industry leaders, Seafish, port representatives and environmental groups. 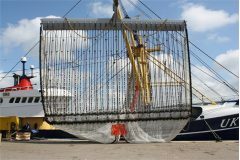 The committee said that the requirement to land all catches ‘poses significant challenges to the fishing industry and to enforcement bodies’ – including the high risk of early tie-ups, within a few weeks in some areas, because of choke species. This will force fishermen to choose between not fishing for the rest of the year, or breaking the law by continuing to fish for other species and discarding anything caught over quota. Seafish suggested that £165m-worth of fish could remain uncaught in 2019 due to fishermen having to stop fishing early. The committee said that despite the long lead-in time, it found ‘little evidence that fishermen had adhered to the new rules during the phasing-in period, or that there had been any meaningful attempt to monitor or enforce compliance. And witnesses were virtually unanimous in their view that the UK was not ready to implement or enforce the landing obligation from 1 January’. The only effective way to monitor discards is through onboard cameras or other devices, but few vessels have these, and the UK government will not make it compulsory unless all other EU member states do so, for fear of putting UK fishermen at a disadvantage. “The UK is, therefore, in a position where the only tools it has in place to monitor compliance are likely to be largely ineffectual,” said the committee. Committee member Lord Krebs said that the committee had heard no evidence that fishermen have been complying with the LO, or that any serious attempts have been made to enforce it, despite the regulations being agreed in 2013, and a long phase-in period. “Action could have been taken years ago to change how fishing quota is managed and distributed, to improve take-up of technology that can help fishers be more selective in what they catch, and to reach agreement with other member states about the use of cameras to monitor compliance,” said Lord Krebs. Lord Krebs told Fishing News, “We were shocked to hear – and this was acknowledged by the fisheries minister, George Eustice – that some fishermen would have to stop fishing halfway through the year. Industry representatives said it could be as early as this month. He said that the government and enforcement authorities had not helped the industry to prepare for the LO. The industry could have done more itself by using more selective gear, although it was not clear to what extent technical solutions would address the problems. Lord Krebs accepted that quota was scarce, but said that where there was some flexibility, any spare quota should be used to minimise choke situations, and that the industry and government should work together to help alleviate the problem. The UK was also unwilling to make UK vessels install cameras unless other member states’ vessels also had them fitted. Lord Krebs said that it appears from the fisheries bill that something equivalent to the LO would have to be carried over after Brexit. DEFRA will have to respond to the report within the next few months. In response to the Lords report on the implementation of the landing obligation, NFFO chief executive Barrie Deas said: “UK fishermen are leaders in sustainable fishing, which is why we are pleased to see the committee highlighting the problem of chokes, created by the new EU rules, for mixed fisheries. “Chokes could lead to fisheries operations closing down early in the year, which would have serious consequences for coastal communities across the country. “Fishermen themselves want sustainability and long-term effective management. However, badly written policy is the biggest barrier to this. The landing obligation will have a detrimental impact on the UK fishing industry, and will cause a great amount of damage to jobs and local economies. If the ban is enforced, it would be ‘potentially devastating’ for some fishing businesses – but there was little evidence that it can be enforced. Remote electronic monitoring (REM) with onboard cameras ‘is the only practical and effective way to monitor compliance’ with the LO, at least on larger vessels. The report calls for ‘a comprehensive, mandatory roll-out’ of REM. Without REM, enforcement agencies will be relying on a handful of patrol boats, and attempting to make assessments about compliance based on the fish that are landed. However, the government recognises that it would be unfair to force UK vessels to install cameras when other EU vessels do not have to. 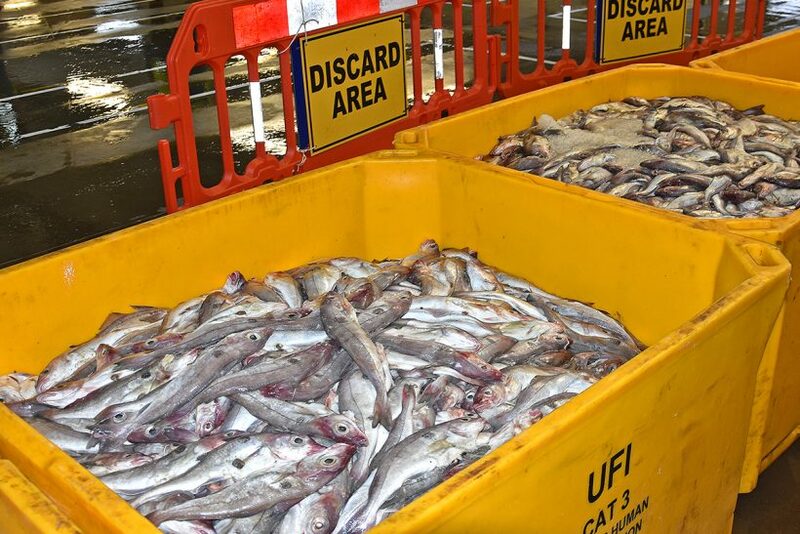 Brexit gives an opportunity to install onboard monitoring equipment, and make changes to quota distribution that could make a discards ban ‘enforceable and effective’. There is a threat to the UK fishing industry as a whole if failure to comply with the landing obligation results in a reputation for illegal fishing. Pressure from retailers for legal fishing could drive compliance. 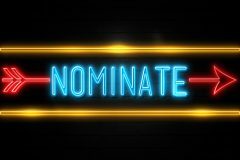 “An insistence by a significant proportion of retailers, in the UK and across the EU, on demonstrable compliance could be a significant driver of behaviour change. “There is a clear risk that the economic impact of chokes on fishers provides a strong, perhaps irresistible, incentive to break the law by continuing to discard fish caught over quota,” says the report. Ensure urgently that under-10m vessels have the same quota flexibilities as the rest of the fleet.